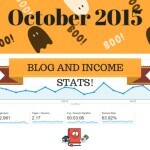 Welcome to my 10th edition of my monthly blog income report. Each Month I will prepare a report in which I will publish all my blog statistics and income that have been generated from Cash Flow Diaries. 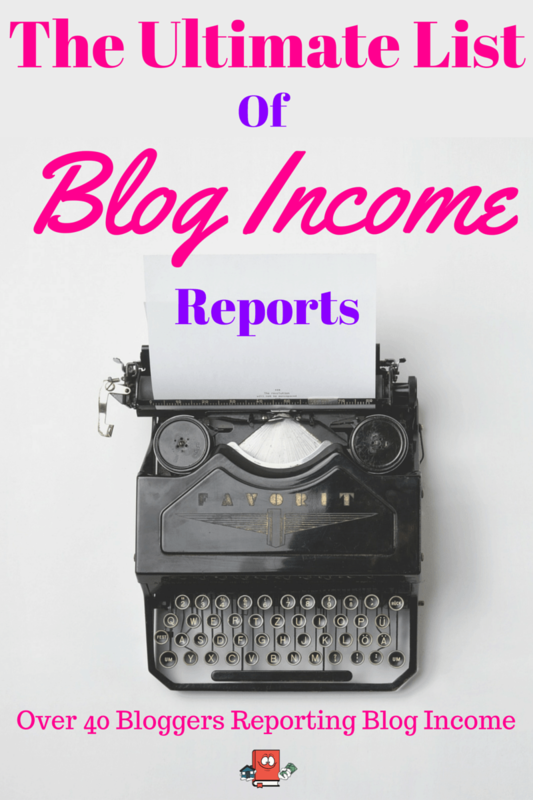 If you would like to see all or previous income reports of mine, you can do so here. March is proving to be one of the most exciting blogging months I have ever had. If you have not already noticed, my blog looks completely different. A few weeks ago I went ahead and just revamped the whole site. I got a new theme and spent about 7 hours tweaking it to make it look just the way it looks right now. It was a lot of work but totally worth it. My site speed has improved drastically and not to mention, I think the new theme is easier on the eye and more visually pleasing. What do you guys think of the new theme? Did you even notice? haha! But the theme change is actually not the most exciting part about my March Blog Income Report. The real excitement is that I am breaking records left and right!! Really exciting news with what is happening to this blog right now for me. March has turned out to be the best month statistically that I have ever had since creating the blog 10 months ago. I have broken my page view record and my income record. I mean don’t get me wrong it’s not a ton of traffic and not a ton of money especially compared to the bloggers on The Ultimate List Of Blogger Incomes but for me, it is freaking awesome and I am not taking it for granted. Any amount I can make is truly remarkable to me. So how did I do it? Well when looking at the stats, the main difference really is the referral traffic from Pinterest. After months and months of using Pinterest I finally started seeing a lot more traffic. It was mainly just one pin that was generating the traffic and that was this pin: The easiest way to increase your cash flow. What’s crazy about it is that I created that pin probably 7 months ago. And it just now decided to get some steam. The flurry of traffic came and went on random days for about 2 weeks and in the past week, it has died off. So it was a short-lived popular pin and it was because of that pin that increased all my statistics for March. I am truly grateful for that and I hope that same pin or another one of my pins takes off again some day. My Pinterest strategy is actually very easy, the main key points is to just create a decent looking image for each post, like the one you see on this post, then use board booster to just automatically keep pinning my pins. It costs money to use Board Booster but I think it will eventually pay off for me. This month alone has pretty much already made up for the past few months that I have been using the program and I have a feeling that it takes time for Pinterest to pick up steam. So for now, I will continue paying my Board Booster expense and see if it continues improving my numbers. That is pretty much the only expense I have. 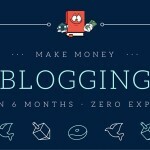 So it is clear that there is money to be made with blogging although it is not easy but if you try hard enough, it can be done. And with zero blogging experience. I literally had zero experience with blogs and even writing when I started. If you are interested in creating a blog for yourself, here is the step by step guide on how I created Cash Flow Diaries. It literally only takes a few minutes and its about $6 per month for hosting if you decide to go with Blue Host who is the provider I use. These are the finalized earnings from March 1st to March 31st. This is the most I have ever made from adsense in one month. Pretty cool!! I am running a total of 3 adsense ads on my blog, 2 in my posts and 1 in the sidebar and with just those 3 I made the income. But of course the reason why I made this much is because of the extra page views that I had which you will read more about below. 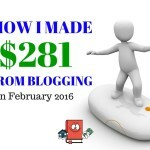 In 10 months of blogging, I have now made a grand total of $396.11 from AdSense. I am very pleased with this number. Of course I wish it was more and hope that it only gets better but it’s not easy generating traffic to my blog. I never really make good money from my amazon links but Ill take what I can get. Last month I got a fat goose egg from this one but it finally came back and redeemed itself by coming up huge in March and making me $200. It was only 2 qualified sign ups that got me this but it’s not easy to do. I make a $100 per sign up with my Personal Capital affiliate so it is really nice when this one hits. It’s also tough because not only does someone have to sign up but they must have over 100k in invest-able assets for me to get the pay out. That makes this one difficult to obtain. Anyways, for those of you who do not know what this is, it is a personal finance manager online site/app that aggregates all your income and expenses and provides cool graphs and charts for you. It’s completely FREE and I find it very useful especially for tracking my net worth. Last month I also made Zero with this one and I was very happy to see I got 1 sign up in March. At a $65 payout per sign up this affiliate is my favorite and I hope I can get more in the future. I know people make money with this one, Pat Flynn makes over 40k per month on his blue host sign ups. He is crushing it! 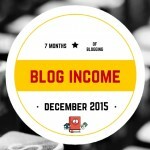 You can see his income on my Ultimate List of Blogger Incomes and of course he is ranked #1. The income from this one actually went down a bit from last month which is very surprising since I had so many page views. I think it has to do with the fact that I changed my blog theme. On the old blog theme, these ads stood out a little better I think and now not so much. This is just a complete guess but it make’s sense to me. Either way I am happy about making over $40 a month from it. Another decent month from helping people out. I started officially providing consulting and advice a few months ago and it seems to be paying off. I know for a fact that there are at least 5 different people who have successfully acquired their first turnkey properties because of the information I have been able to provide them and the questions I have been answering for them. That is pretty awesome!! So if you are a newbie and are looking for help, additional information or advice on how to purchase a turnkey rental property, please check my consulting packages on my Contact Me page. Now that I am accepting pay pal payments for the consulting/coaching, I have some new paypal fees. It’s not much and it is the cost of accepting payments so I am quite pleased with this. I am very savvy when it comes to technical stuff and can even do a bit of my own coding but there was some custom CSS work I needed to do on this new theme that I just couldn’t figure out. So I paid a dude from Fiver $15 for it and it worked out great. I am very happy with my new theme and all the custom changes I did with it to make it look the way it does right now. This is my new record in page views for one month. Over 10k more page views then last month. This is all in direct result from Pinterest traffic. As I mentioned above at the beginning of this post, I had one pin pick up some steam and generated thousands of views from Pinterest. It’s pretty exciting! Another 1k+ more followers in March. It is pretty much a lock I will get at least 1k more followers per month if continue to use the Cash Flow Diaries Twitter Strategy. I have been using it the last few months and it definitely works. I am doing all of this for FREE and I probably spend about 10 minutes per day making this happen. Facebook is steadily increasing and I think there is a 5k limit of friends so I will hit that in April for sure. But it’s okay because I created my blog facebook page a few months ago and that is also seeing steady growth. I refuse to pay facebook for advertising unless I decide to sell a product or something so I am okay with the small growth on my page. You’re killing it! Nicely done. A another nice stream f income for you. What’s the plan for the money? Saving it for the next rental? Thanks Brian. Any income I receive from the blog is definitely going to go towards rental properties. That has been my plan since the beginning and its slowly adding up. Some day I will be able to buy a rental property from this. haha. You’re doing great on the social media stats! What made you choose Board Booster over Tailwind? I am sure you’re affiliate income will increase as you keep putting up valuable content. 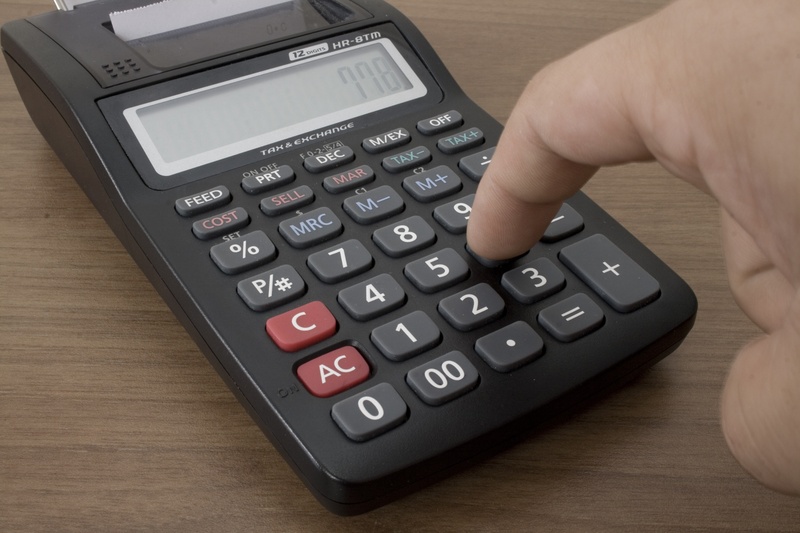 Looking forward to reading more of your income reports. Hi Aliyyah! Yeah I have been hitting the social media pretty good since the very beginning and its definitely helping. I did the free trial on tailwind and board booster and decided with board booster because it was more hands off automation. Basically just takes less of my time to get it going. I’m going to have to look at the Twitter strategy. I’ve grown pretty steadily over time but you’ve got some serious growth going on. Good work. Well done on the blog. A great side hustle for the next property, but most importantly you are greatly expanding your network. Not sure who said it, but your networth is tied to your network. Couldnt of said it better myself. Networking is huge in all aspects when it comes to making money. 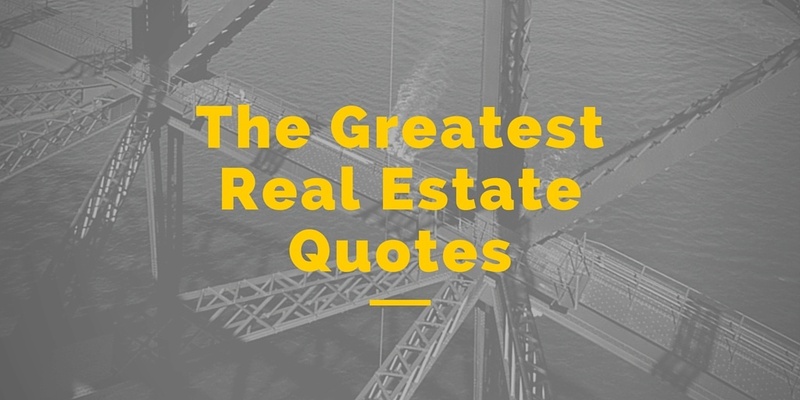 Thanks for the awesome quote. 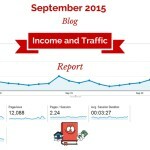 Well done this month, awesome traffic! I’m giving your twitter strategy a go. So far, i’ve had some pretty impressive twitter growth. Thank you for the tutorial! Hey Blake! Cool man! Im glad to hear the twitter strategy is working. Keep at it! your new theme does look good. is it a flex theme? Thanks Gordon! No its not a flex theme. It was just a random FREE theme i found on wordpress. Im really impressed with it and the fact that it was free was awesome. It honestly takes time to eventually build the stats. The more you do it, the more they will come. My advice is just to keep at it. It will pay off eventually. Im hoping mine just keeps getting better and better. Great to see your income growing! 🙂 I just recently started following your blog so I wasn’t here for the theme change. I have to say, I like it though! Looks like a lot of people in the MMO blogging niche are using Pinterest for traffic. How much of your traffic comes from Pinterest would you say? Hi Ilya! Thanks for liking my theme. I think its much better then what I had. I read on some of these other blog income reports that they are getting 100k+ page views a month on pinterest which is insane. I don’t get nearly that much and I would say for March, pinterest was probably 35% of my traffic. Before it has been less then that though. Jay!! Good to hear from you man! I love how you just said F it and quit your job. Really impressed with that and hope to be in your shoes some day. I do agree marketing is a huge aspect for blogging. I think I read somewhere that said you should spend 30% writing and 70% marketing which resonates well with me. Im sure you will have it figured out in no time. Have you considered approaching someone like Pat Flynn to talk about your strategies on his podcast, you’d blow up your site for sure? Cheers & all the best with those wedding preparations! Haha I don’t think I am at that point yet where I could write an ebook about it but I would entertain the idea someday if i can get 100k page views a month from it. That would really give me more credibility you know. I have never thought about reaching out to Pat Flynn, maybe I am just being humble but I just dont think I am at that kind of level yet with expertise. We’ll see how it turns out later this year. Glad to hear Pinterest is working so well for you. I wouldn’t have even considered it as a traffic source for a personal finance blog, but I might have to take a look. Hi Brian! Oh yeah you should absolutely add pinterest to your social media marketing plan. I think Pinterest actually has the most potential to bring in traffic then facebook or twitter. And without paying for ads which is huge. I think i’ll have to get on this pinterest train and see where it takes me! Very impressive numbers! I agree! You should get on the pinterest train. I would start with learning how to make good images for your posts. Congratulations on an excellent month. Generating income from additional streams is always a good thing! Thanks bud! I want to try and make as much additional income as i can now that I have the energy to do it but more importantly so that I can have more money to invest. Crazy Impressive! The fact youre getting this kind of reaction after less than a year means your content really speaks to people. Hopefully I can get a fraction of the success you are enjoying right now! You deserve it! Your work is paying off. I can personally say that Pinterest has been a great boost to my website too. Have you found boardbooster helpful in driving more traffic since you’ve used it? I haven’t gotten around to scheduling pins yet, what are your thoughts? Hi Tracy! Thanks so much! Glad to hear Pinterest has been working out for you. Boardbooster definitely helps but I feel like im not getting the most out of it. I see others who use it get way more traffic then what I am getting. I need to sit and tweak some things around to make it better. I can tell you this month (April) already that I am seeing a lot less traffic from pinterest then I did in March so that is disappointing. Nice job!! This is so exciting! I like that you are doing the consulting – it’s so nice to be able to help people one on one. My Media ads slipped a little in March as well – I think it was because it was moving towards the end of the quarter and everyone kept telling me things can dip a little? Who knows! Pinterest is so amazing. That is why I never delete old pins because you don’t know who’s going to find it and repin it and drive traffic to your blog. I also don’t know understand Amazon at all. I get hundreds of clicks and like 2 sales lol. And what am I gonna do with 5% anyways?? I need to find better products to promote. Killer job this month! Thanks Kristin. It is very exciting and I just wish it would continue growing. The consulting definitely is giving me a boost with income and I love helping people so that is working out well. Haha, that is so funny about amazon, its the same deal with me really. I dont make any money with amazon but it doesnt hurt to try you know. Thanks Graham! Really appreciate it. Keep at it and Im sure you will be crushing it too! Thanks Mantra! I get inspired and motivated reading other people’s income reports as well. Its good to get ideas and learn from others to try and monetize your site better. Glad you like my report! That’s pretty awesome. I enjoyed the read thanks. Can’t wait to read your April report. Thanks Lloyd. I admit my April report is not going to be top my March report. March was amazing for me! Hopefully I should have up the new report in a week or two max. Nice work diversifying your income! It’s encouraging to read about your success. Keep up the good work. Thanks John! Appreciate it! I really want to just live off of passive income and if I can find other ways to generate the money then I all for it. The board booster paid off as your Pinterest audience skyrocketed. Your stats are impressive, well done! Well this is what consistent work and dedication does. Great post, I hope your stats are even better the next month! Hi Zaria! Board booster has definitely increased my page views no doubt! Thanks so much for checking out my update! Are you serious? 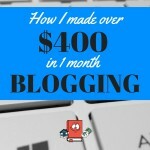 Within ten months of blogging, you’re banking $500 profit per month. You inspired me to focus more on my blog. Haha thanks Shafi. It hasnt been easy.